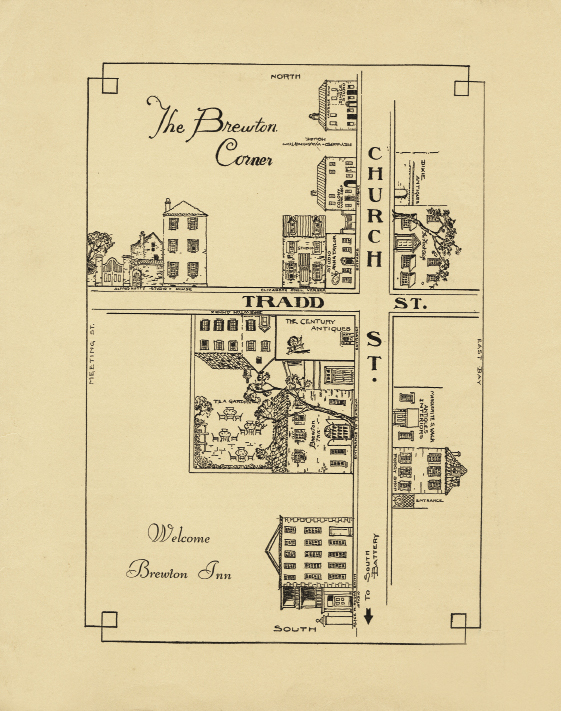 An artifact survives from the 1930s, the heyday of the Charleston Renaissance, revealing how that great arts revival attracted visitors from afar and promoted Charleston’s image as “America’s most historic city.” It’s a hand-drawn map, produced for tourists, that shows the Brewton Inn at the corner of Church and Tradd streets and the surrounding houses, which happened to be mostly artists’ studios. Visitors could, the innkeeper reasoned, put up at the hotel and enjoy proximity to such painters as Alice Ravenel Huger Smith, Elizabeth O’Neill Verner, and Anna Heyward Taylor. They could tour their historic studios, meet the artists, and, perhaps, view their latest works. Featured on the map is 46 Tradd, a three-story brick residence with a garden and studio in back. It was the home of Alfred Hutty, one of the foremost etchers in America who wintered here for nearly 30 years. 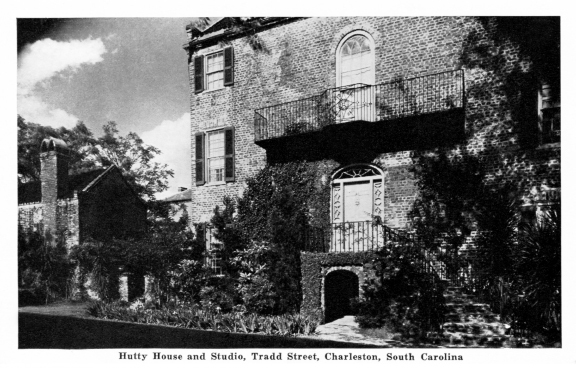 A transplanted Northerner with a national reputation, Hutty, for a time, directed the art school of Carolina Art Association—the predecessor of today’s Gibbes Museum. 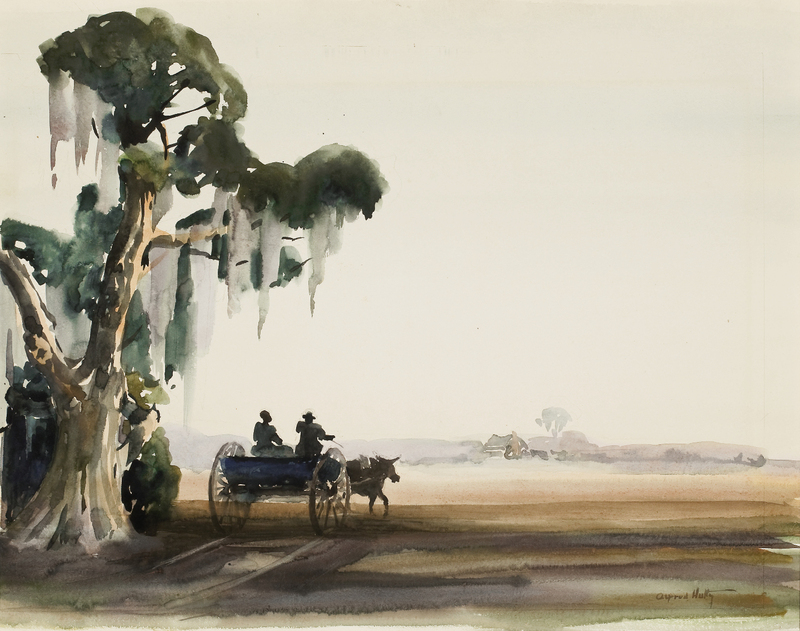 This month, that institution is mounting an exhibition of Hutty’s works that shows the full extent to which this “outsider” visually interpreted Charleston and, through his works, exported its traditions, natural beauty, and cultures to the rest of the world. Hutty, a slim, athletic-looking man with a piercing gaze, didn’t say much about himself or his work. Unlike many of his peers—who craved public attention and grandly proclaimed their views—Hutty gave no lectures, wrote no books, and penned no autobiography, thinking it best to let the work speak for itself. He was born in 1877 in Grand Haven, Michigan, but grew up in Kansas City, where his large and not very prosperous family had moved when he was about six. When Hutty’s father, Joseph, died at age 52, the teenager had to help his brothers earn enough money to keep everyone fed, clothed, and sheltered. Later, showing a talent for drawing, he won a spot in the Kansas City School of Fine Arts, where he received early training in stained glass. He remained in Kansas City, working for a while as a designer in an art glass factory, and married Bessie Burris Crafton in 1902. 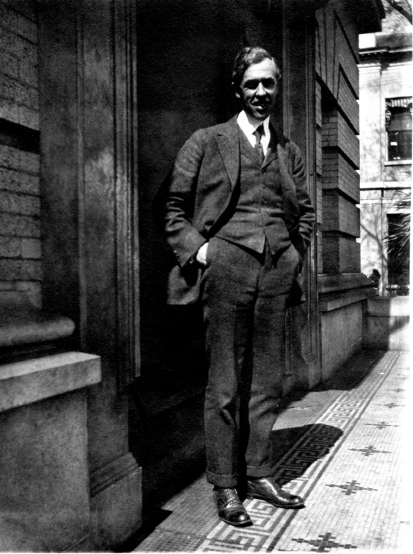 Two years later, wanting to further his arts training, Hutty moved his wife and their newly born son, Warren, to St. Louis, where he enrolled at the St. Louis School and Museum of Fine Arts. In 1907, the school hosted an exhibit by noted impressionist painter Birge Harrison, whose pleasing studies of nocturnal scenes, snowy valleys, and winter twilights appealed to the aspiring artist. 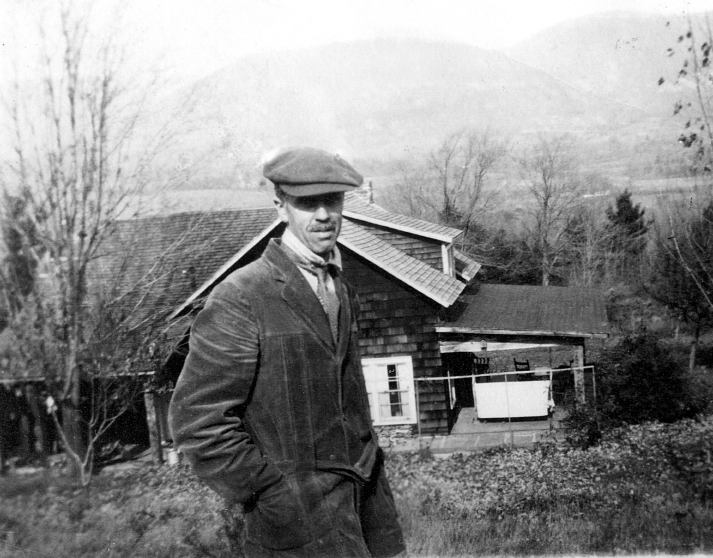 Soon thereafter, uprooting his family again, Hutty followed Harrison to Woodstock, New York, where he directed the summer colony of the New York Art Students League. After completing a season of classes and needing to support his wife and son, Hutty moved the family closer to New York City, where he again found work in stained glass, eventually completing commissions for Tiffany Studios. In 1912, the Huttys returned to Woodstock and purchased a nearby 85-acre farm called “Broadview,” where Hutty would paint, mainly landscapes in oil, blending hues in modulated combinations like his mentor Harrison and other painters of the time, such as Childe Hassam and Mary Cassatt. In 1920, seeking to escape the winter cold and looking for other picturesque regions to paint, he found Charleston, and a legend was born. In later retellings, Hutty reportedly stepped off the train, looked around, and then dashed off a telegram to his wife that read, “Come quickly; have found heaven.” In truth, Hutty eventually did send a wire, but he knew that Bessie couldn’t join him during that visit. And Charleston was hardly a surprise. 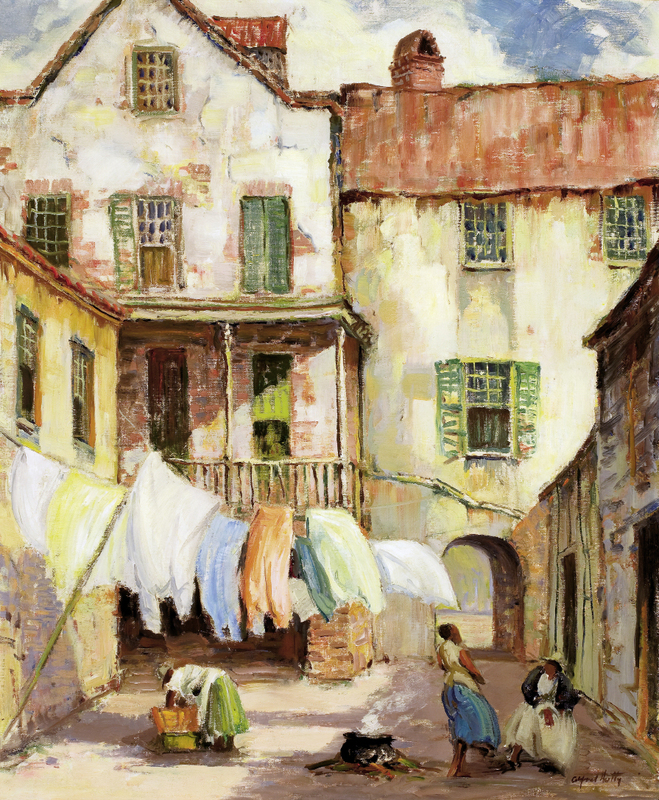 Having long known about the city from Harrison, who recommended it as ripe material for art, Hutty arrived with the position as the first professional director of the Carolina Art Association’s art school. 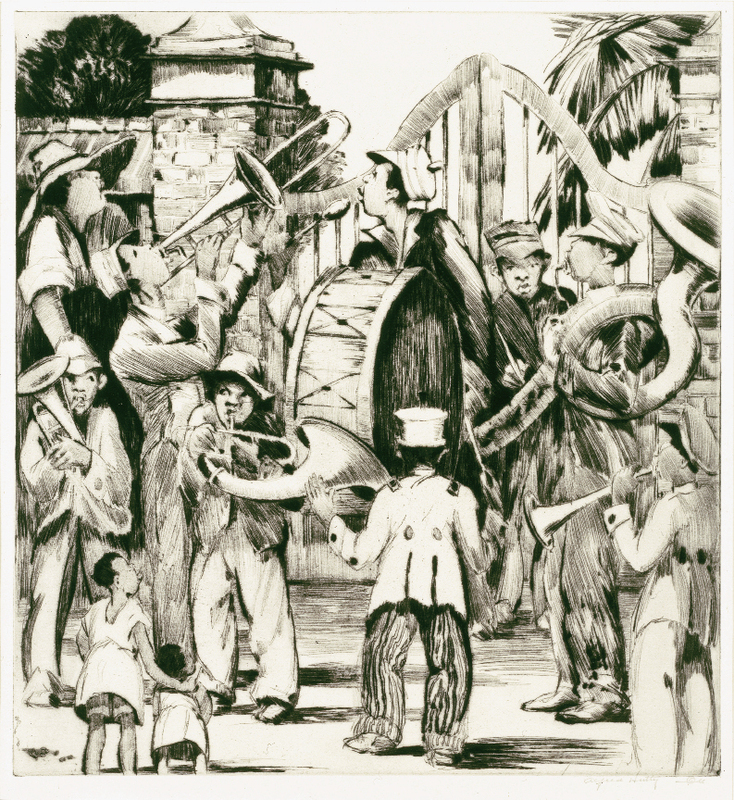 Here, the artist found many subjects for his oil paintings, including the grand architecture and historic cityscapes as well as the natural beauty of the outlying plantations. But it was his detailed drawings that attracted the most attention. At the close of his first season, local collector Alice Witte Sloan urged him to try etching, an important medium in the 17th century that was then enjoying a revival. 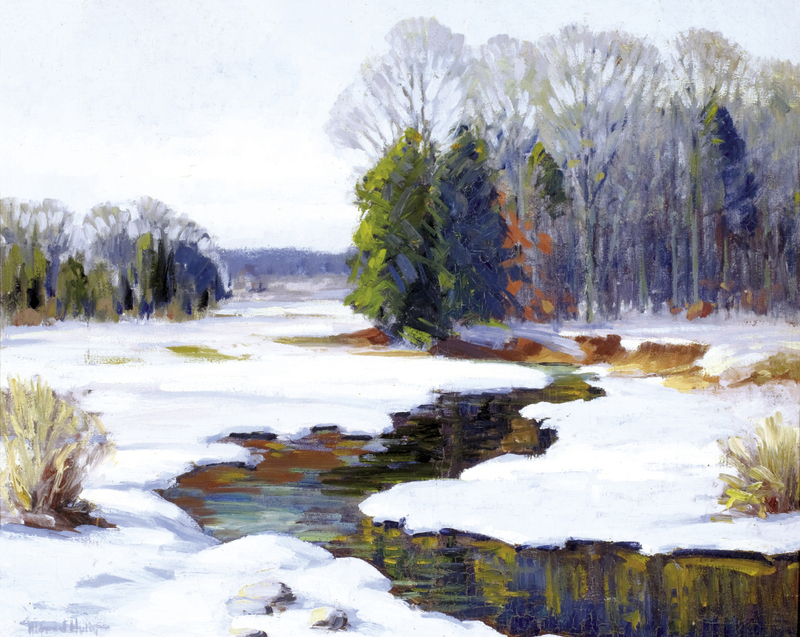 Artists of the period found it ideally suited to capture the moods and textures of contemporary landscapes, both urban and rural. Back in Woodstock, Hutty learned the technique of etching and became proficient quickly. When he returned to Charleston the following winter, he began teaching the exacting process at the Carolina Art Association and soon made it his trademark form. 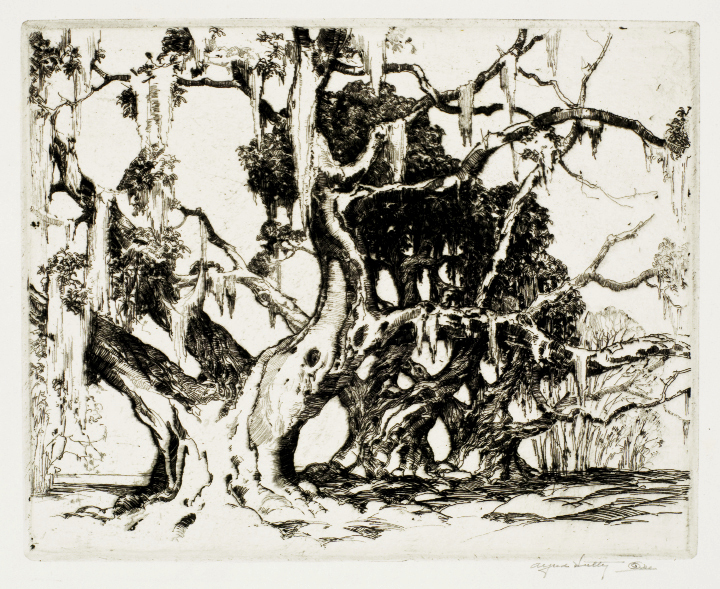 More importantly, he got everyone in the local art community interested in etching, and before long it was all the rage among Lowcountry artists. 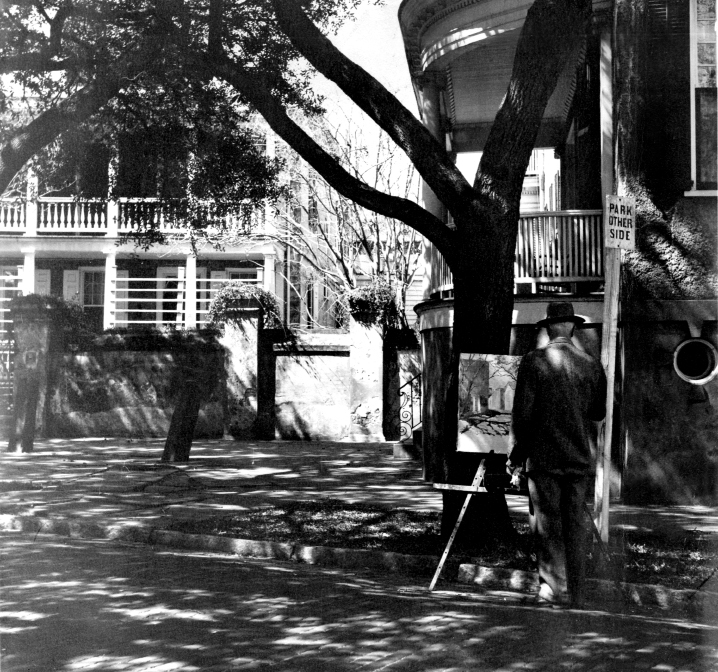 In 1923, along with Alice Ravenel Huger Smith and Elizabeth O’Neill Verner, Hutty helped found the Charleston Etchers’ Club, the first print society in the South. Hutty’s delicate and sophisticated renderings of the city’s architecture and streetscapes brought him recognition both in the Holy City and across the country. In December 1920, one of his first Charleston etchings, St. Michael’s, was awarded a prize at the Detroit Institute of Arts. 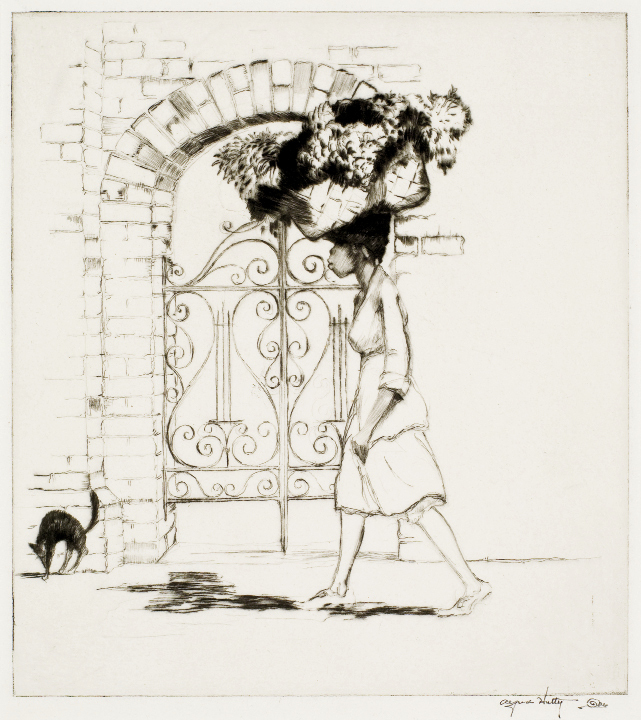 Two years later, Los Angeles’ Corcoran Gallery presented the artist’s first solo show of his Charleston etchings and drawings. 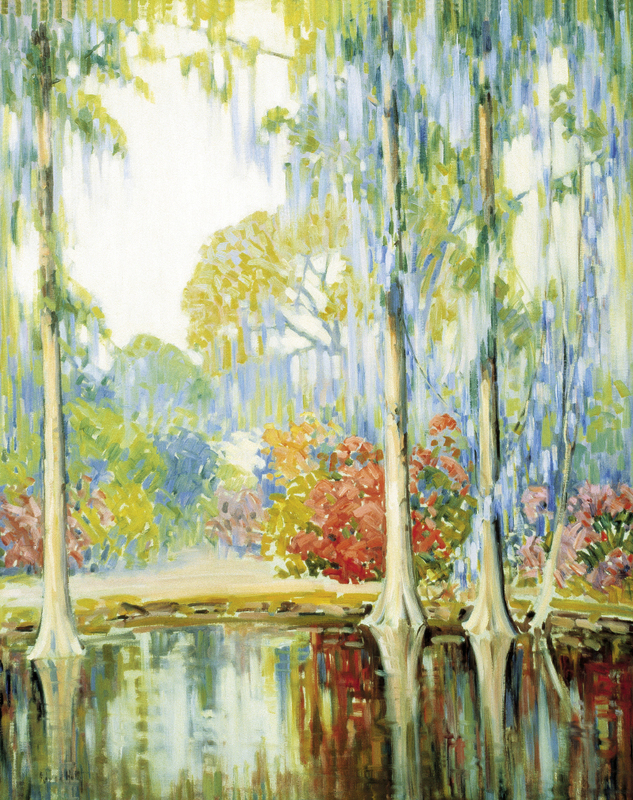 While it was with his studies of nature, especially trees, that Hutty made his mark—they are by common consent masterpieces of technical execution—it’s his Charleston scenes with which he’s most closely identified today. Art historian and former Gibbes curator Martha R.
Severens says that Hutty was a strong ally of then-Mayor Thomas Stoney, who promoted tourism heavily. 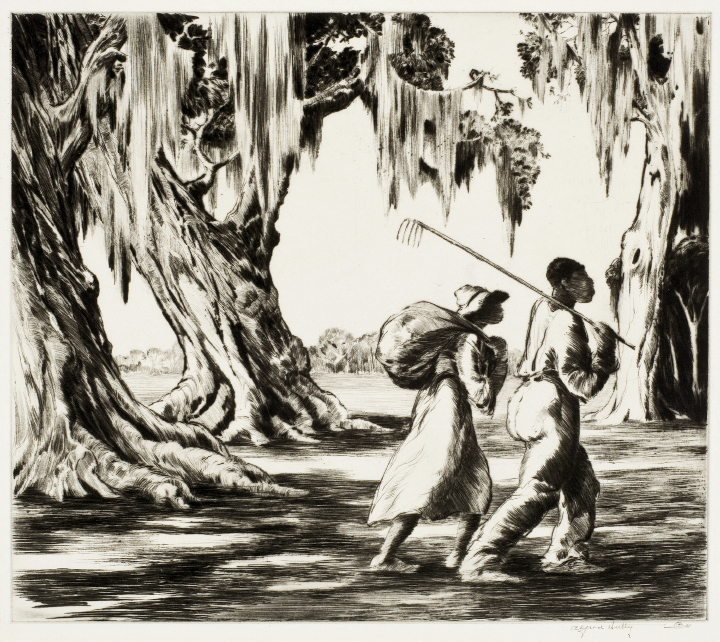 With Stoney, Hutty argued that the past was the most attractive commodity that the city could sell to its visitors: tableaux of iron gates, cobblestone alleyways, imposing Georgian mansions, and windswept palmetto trees became his stock in trade—as well as depictions of the Gullah culture. Drawing on his early studies of nature but embroidering them and refashioning them to fit the Lowcountry ambience, Hutty’s Gullah characters assume a noble cast, a kinship with the trees, fields, and crops that envelop them. 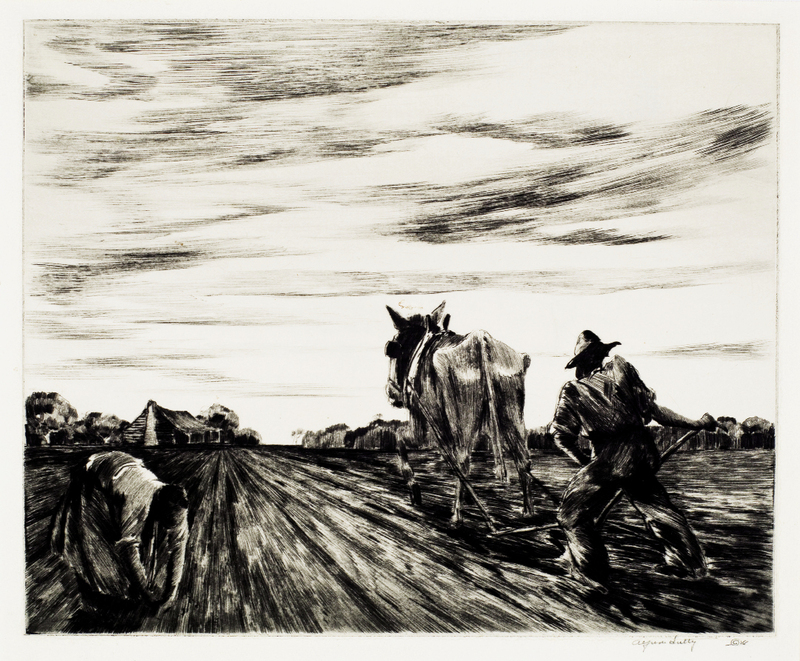 Deep South, one of the later and most famous works, replicates both a struggle and respect between character and environment. The African-American workers lean forward, as if pushing into a strong wind, their implements of labor slung over their backs. The trees, with roots like talons, sway back, as if planted in an agrarian past. Of course, Hutty’s subject matter was not unique to him. 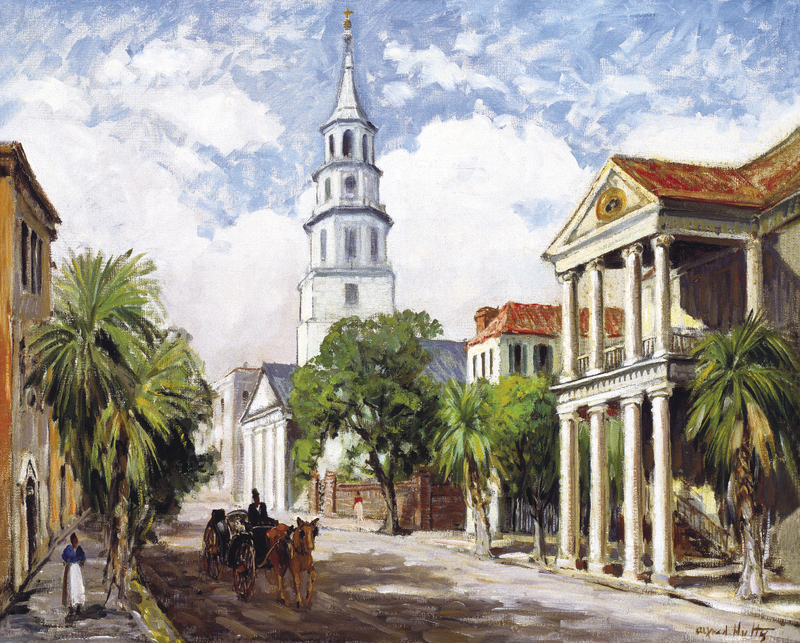 During the Charleston Renaissance, studies of Lowcountry landscapes and African-American life also appeared in the work of his peers and neighbors. But Hutty’s relationship with his Charleston colleagues—Smith, Verner, and Taylor—is difficult to parse. Severens believes that Hutty’s vision was wider and more open than most. Verner’s depictions of African-Americans, for example, are more paternalistic than Hutty’s. Perhaps this was because Hutty was a Northerner, or perhaps, Severens speculates, it was because “he was a man within a colony of mostly women.” He was rivals with Verner, his closest competitor in etching. 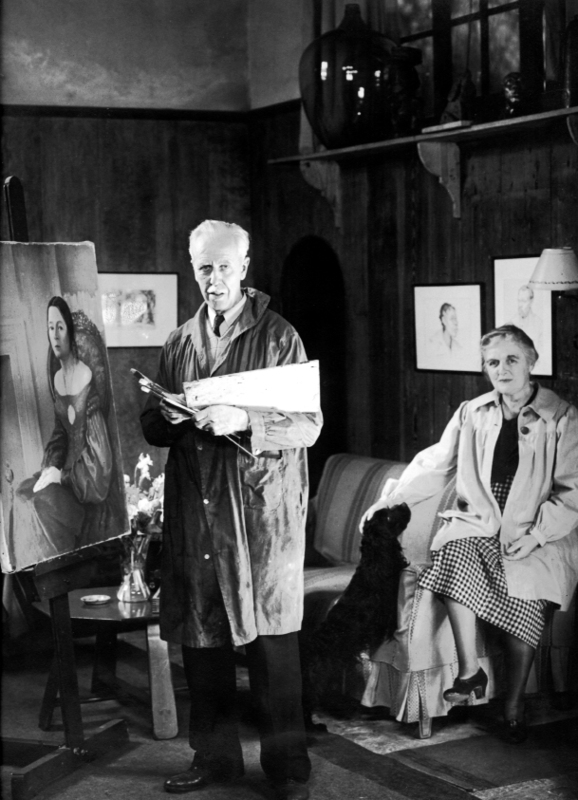 “In terms of technique, he upstaged her,” Severens says, “and was definitely a thorn in her side.” Many, in fact, think that Verner was responsible for Hutty being blackballed from the Southern States Art League, a group of regional artists to which she belonged. The more circumspect and genteel among Hutty’s peers probably also looked askance at his commercial appeal. 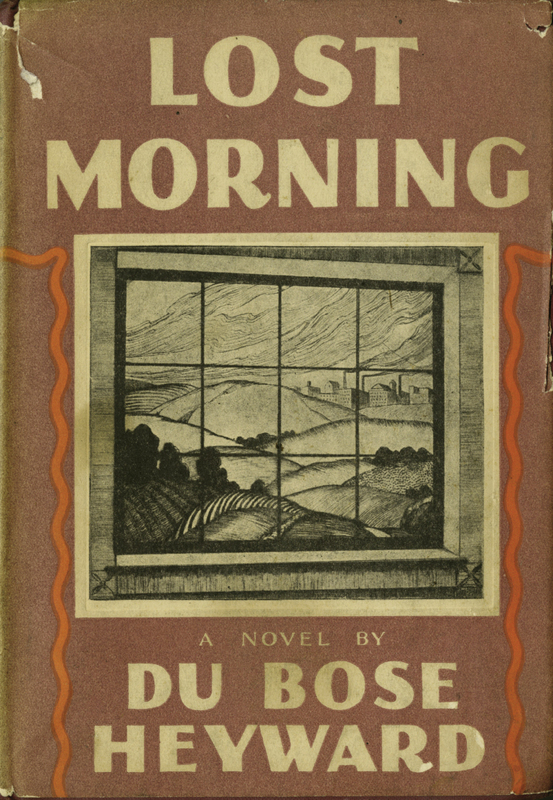 The novelist and playwright DuBose Heyward, author of Porgy, portrayed Hutty as Felix Hollister (“Holly”) in his 1936 novel, Lost Morning, about an artist in conflict with himself. In the story, Hollister (who, like Hutty, has a lanky frame and slim, tapered fingers) has abandoned his early expressive work for printmaking. He becomes famous and wealthy by letting his drawings of quaint historic scenes appear in everything from cigarette advertisements to stories in trashy men’s magazines. Hollister feels, however, that he has prostituted his talent for the pleasures of ready cash, and at the end of the book, he leaves the rigid social set in which he lives and flees to Paris to rediscover himself as an artist. Hutty made no such bold gesture, but he must have known that Heyward based the character on him. “Hutty was open about his commercialism,” Severens says. “He felt that there was nothing wrong with an art product being commercially profitable.” Nonetheless, the picture of Hutty in the novel reveals underlying tensions and anxieties that might have given Hutty pause. Local novelist and historian Harlan Greene points out that after Lost Morning was published, Hutty’s art changed. 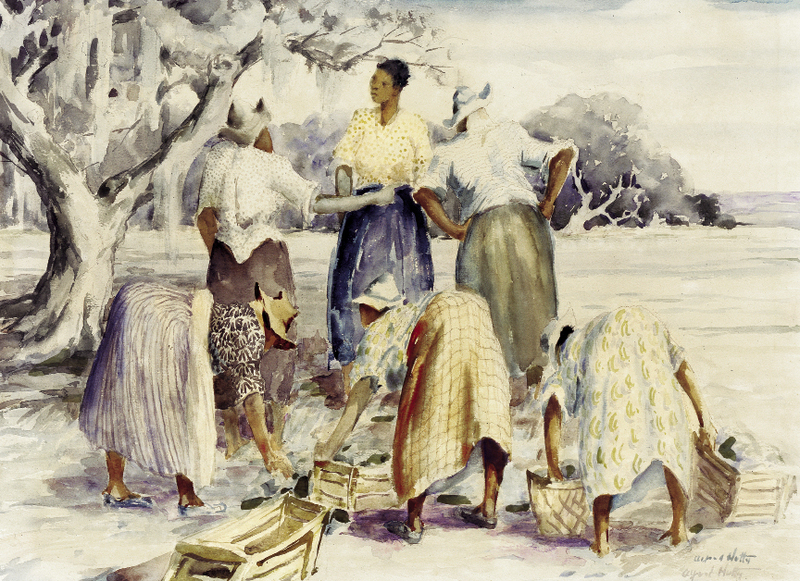 His wife had died, he had sunk into a depression, and with World War II and the rumblings of social unrest that would usher in a new era of race relations, the “Rural Series” of prints he did after the novel appeared are less Charleston-oriented and more pastoral: city scenes give way to rural landscapes and African-American figures are shown in more reflective, contemplative poses—as if considering the future. In the last years of his life, Hutty tried his hand at other forms and became involved in the community in new ways. He developed a relationship with the Footlight Players and produced a lively mural for its lobby on Queen Street that documents the history of the company and its storied performers. 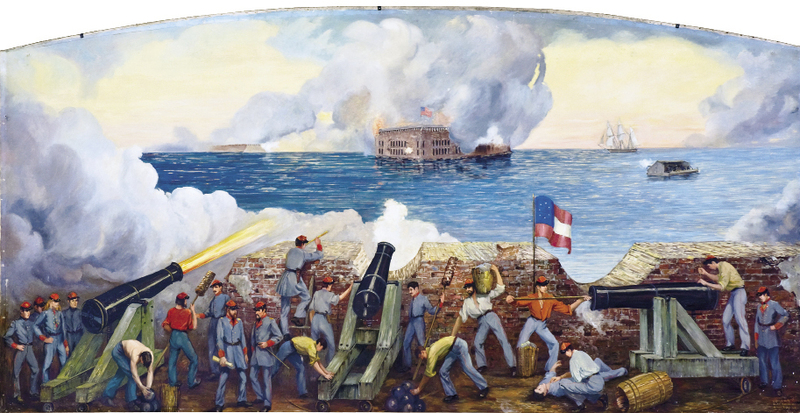 In 1949, he completed a mural with a history theme, Attack on Fort Sumter, which graces the lobby of the Fort Sumter House on High Battery. He lent his time to many civic initiatives and was also a friend and mentor to the young. One protégé, a young African-American man named William Jackson, was taught to draw by Hutty, and when Jackson was discharged from the Army, Hutty helped him get started as an art dealer. To be sure, by the time Hutty died in 1954, he had left his mark on his adopted city in many ways. In a letter in 1935, Hutty remarked that he had been in the Lowcountry for “only” 16 seasons, and that it took “much more than that” to earn the title “from Charleston, S. C.” “Just the same,” he continued, “I do believe that Charleston is somewhat indebted to my humble self for making her charms better known to the world.” And although the quiet and reserved gentleman artist would never have said it aloud, he would have agreed with painters, collectors, and historians today who believe that Hutty’s art was strengthened by his unique perspective, for it took a true outsider to be able to see inside the real Holy City. • Curator-Led Tours with Gibbes curator of collections Sara Arnold.